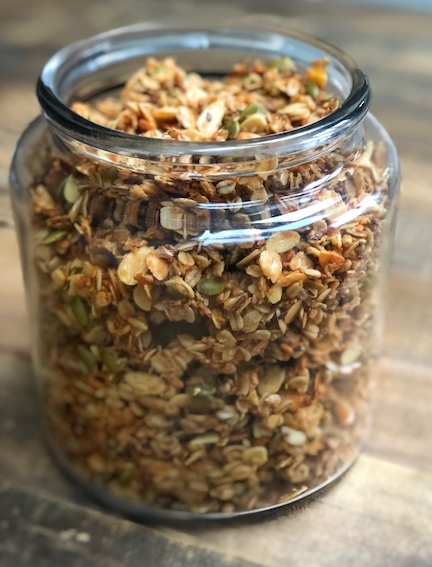 Homemade granola is such a wonderful thing to make. It's so simple, and tastes a million times better than any store bought version. And you can make it your own by crafting your own perfect melange of nuts and seeds. I have perfected my favourite version (in my humble opinion!). 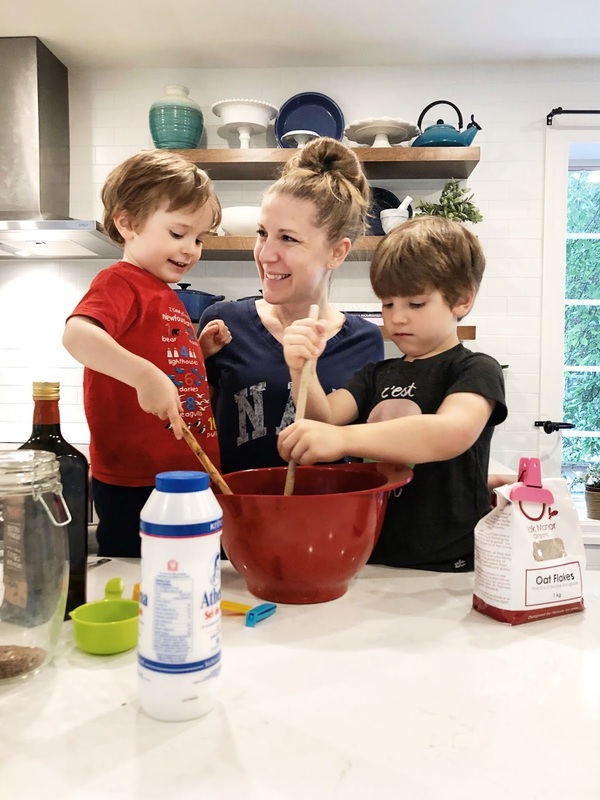 The kids and I make a big batch every few weeks and we eat it almost daily for breakfast. It's so hearty and satisfying and utterly delicious. 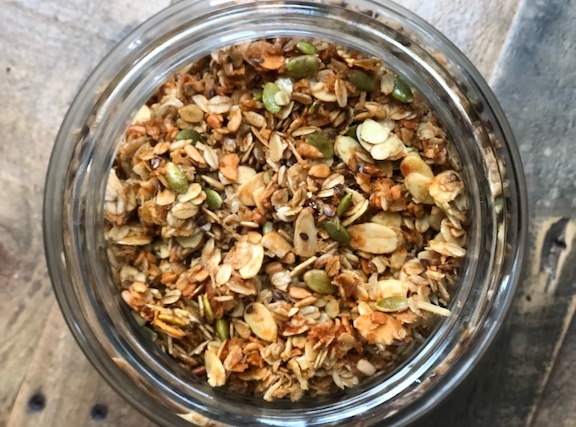 If you've never made your own granola before, this is a great way to start. Spread on a large baking tray (I line mine with parchment paper for easy clean up - but not necessary). 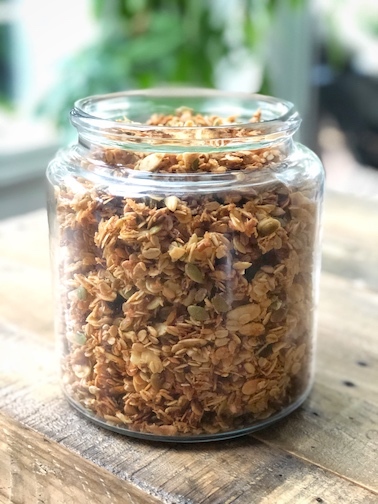 Bake at 320 degrees F for 15 minute intervals x3 (total 40-45 minutes) - stirring in between each, or until the granola is nice and golden but not too dark. *I don't like dried fruit in my granola, but feel free to toss in some dried cranberries/currents/raisins/chopped apricots at the end (after baking). * Recipe inspired by the famous New York Times version - I've adapted it to my own personal tastes and preferences over the years. Store in a large jar at room temperature. It keeps very well for several weeks. yum! never made my own - might have to try now that i see this - looks so good! Jan, you will not regret it!